I am often asked if there is any benefit in using Acupuncture for menopause, to relieve its symptoms. The answer is very definitely yes. Some women report very few side-effects during menopause, but for many women, it can herald years of misery. Our youth-obsessed Western culture treats the menopause as something embarrassing to hide because it represents the loss of fertility and attractiveness. Instead, for many women, the cessation of her monthly period is a lifting of the burden of birth control. The Menopause is not a sudden cessation of the menstrual cycle, but a period of time (usually over 4 years) where periods become less regular, often heavier and less predictable. This time frame is also referred to as the perimenopause. In this period, the levels of the female hormone oestrogen change and ultimately drop. In the traditional Chinese Medicine, the time beyond the cessation of menstruation is called Second Spring. It represents a renewal of energy and opportunity. It can be fully true, but it’s up to how each woman approaches it. We can’t control getting older but we can control how we do it! There are a number of options open to women for the treatment of menopause, from advice such as wearing cool clothes and opening windows, changes to nutrition, herbal medicine and HRT (Hormone Replacement Therapy). People rarely consider an alternative treatment like acupuncture for menopause as a possible help. I have treated a number of women suffering from hot flushes. They have successfully reduced the frequency and intensity of their hot flushes. Women who previously were waking in the night and becoming embarrassed by excessive perspiration in the day are now able to function normally. Acupuncture for menopause can also help with depression and mood swings. It does this by re-balancing a woman’s energy flow. The number of treatments required in acupuncture for menopause will vary, as you will see from the testimonials below. As a general guide, I would expect to take a few weeks to stabilise the body and then see the patient every 2 to 3 weeks, but some women can go much longer without further treatment. Women sometimes ask me what points I would use in acupuncture for menopause, to relieve from hot flushes. In these cases, I explain that acupuncture is a holistic treatment. There are no specific points in acupuncture for menopause: each woman is treated as an individual. Thus what works for one woman may not work for another. Similarly, with acupuncture for the treatment of the symptoms of depression or insomnia, the acupuncture points used are entirely individual and will be tailored to each woman’s needs. The British Acupuncture Council advocates the use of traditional Chinese acupuncture to help with sleeplessness, hot flushes, depression and aching joints in menopause. Please take a moment to view their brief video. Dr Chatterjee in his BBC series Doctor in the House also recommended the use of traditional acupuncture to help with menopausal symptoms. So don’t suffer in silence. Email me at info@jackiegrahamacupuncture.com or call me on 07733274745 for a consultation. Many women find that changes to their diets can help relieve menopausal symptoms. 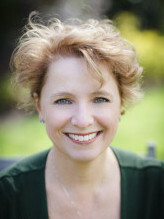 As well as dietary and lifestyle advice, Emily Fawell, the Ealing Bridge to Health based Nutritional Therapist, can also offer functional testing, and uses a specific test for the Menopause which looks at levels of oestrogen, progesterone and testosterone; oestrogen metabolites which can help or hinder hormone health; and bone turnover rate, which is a marker for osteopenia and osteoporosis. Scientific research is being carried out regarding the effects of Acupuncture for Menopause, specifically on hot flushes. Objective: This meta-analysis aims to evaluate the effects of acupuncture on hot flash frequency and severity, menopause-related symptoms, and quality of life in women in natural menopause. Methods: We systematically searched PubMed/Medline, PsychINFO, Web of Science, Cochrane Central Register of Controlled Trials, and CINAHL using keywords such as acupuncture, hot flash, menopause-related symptoms, and quality of life. Heterogeneity, moderator analysis, publication bias, and risk of bias associated with the included studies were examined. Results: We found that acupuncture significantly reduced the frequency (g = −0.35; 95% CI, −0.5 to −0.21) and severity (g = −0.44; 95% CI, −0.65 to −0.23) of hot flashes. Acupuncture significantly decreased the psychological, somatic, and urogenital subscale scores on the Menopause Rating Scale (g = −1.56, g = −1.39, and g = −0.82, respectively; P < 0.05). Acupuncture improved the vasomotor subscale score on the Menopause-Specific Quality of Life questionnaire (g= −0.46; 95% CI, −0.9 to −0.02). Long-term effects (up to 3 mo) on hot flash frequency and severity (g = −0.53 and g = −0.55, respectively) were found. Conclusions: This meta-analysis confirms that received acupuncture improves hot flash frequency and severity, menopause-related symptoms, and quality of life (in the vasomotor domain) in women experiencing natural menopause. ← WHY DID YOU BECOME AN ACUPUNCTURIST?